and the ultimate validatation of a unique deep-sea, manned research submersible. 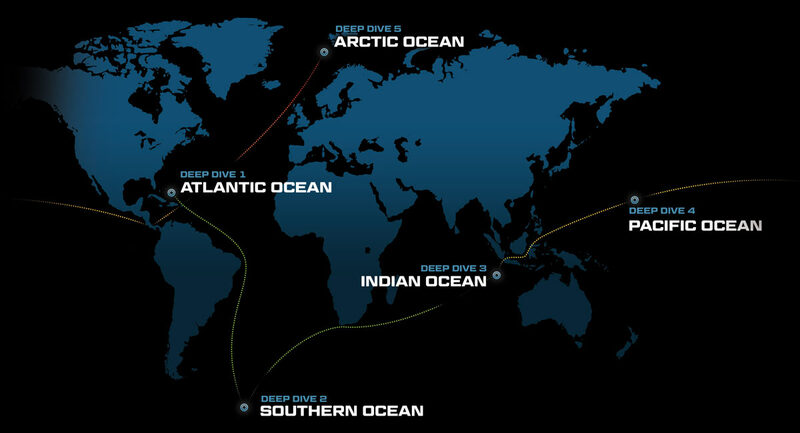 The Five Deeps Expedition is the first to attempt to reach the deepest point in each of the Earth’s five oceans: the Puerto Rico Trench in the Atlantic, South Sandwich Trench in the Southern Ocean, Java Trench in the Indian Ocean, Challenger Deep in the Pacific and Molloy Deep in the Arctic. * The French Bathyscape L'Archimede achieved 8,300m in the Puerto Rico Trench on May 6th 1964. 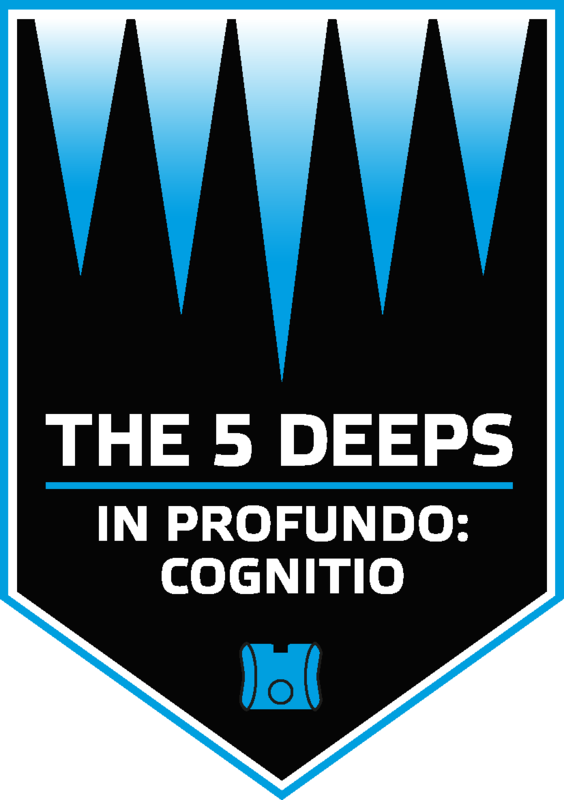 The Five Deeps Expedition includes dives to the deepest point in each of the five oceans. Along the route, we’ll be taking opportunities to dive areas of scientific interest or historical importance. Further information about additional dives will be announced over the course of the expedition. Our record-breaking first dive to the deepest point of the Atlantic Ocean, in the Puerto Rico Trench. Our first dive into the Hadal Zone. Deep dive two is to the South Sandwich Trench in Antartica. It is the only sub-zero Hadal Zone on Earth. The Java Trench / Deep is a largely unexplored Hadal trench and is the location for our third Deep dive. Challenger Deep in the Mariana Trench is the deepest place on Earth, considerably deeper than Everest is high. 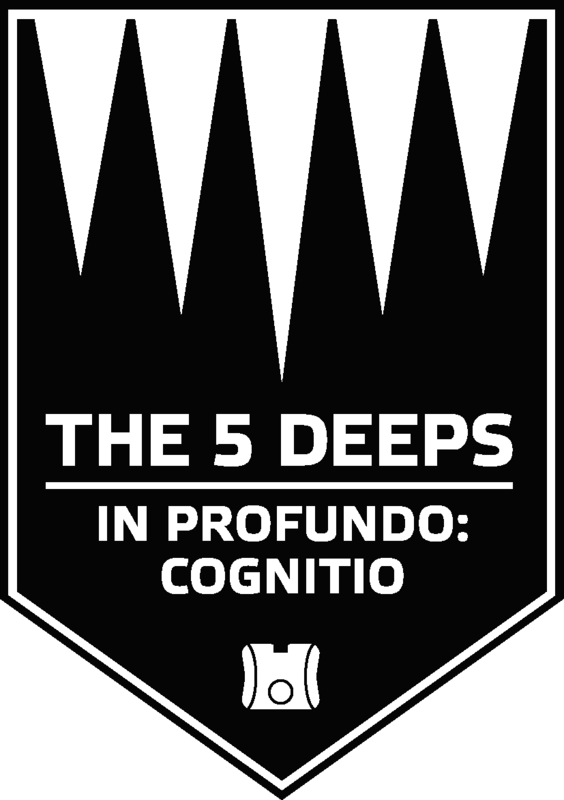 It is the penultimate Deep. The near-freezing waters of Molloy Deep, west of Svalbard in the Abyssal Zone, will be the fifth and final Deep dive. Supplemental to The Five Deeps, the crew will be taking advantage of opportunities along route to survey and dive on sites of historical importance or scientific significance. Information about these dives will be published as the Expedition progresses.